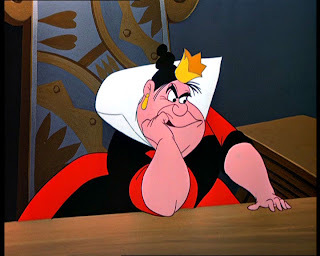 AutismWonderland: "Off With Their Heads!" "I warn you dear child, if I lose my temper, you lose your head. Understand?" Okay, okay. I'm exaggerating. No one will lose their heads. But this week I've managed to piss quite a few people off. And instead of 'off with your head,' it's more like - Off With Your Services! I've pissed off the SEIT, the SEIT agency and the CPSE Administrator. Not only did The Boy's SEIT drop the case but the entire agency dropped the case. In fact I got a phone call from the director of the agency - a woman I have never spoken to in the year and half they've provided services - and she said, "as of February 18th, we are no longer able to provide services. I've contacted your CPSE Administrator. She will find a new agency." And that was it. Even though the Supervisor had promised me that they would always be able to provide services. Promises, promises. There is too much of a back story to get into. And I am not mentioning names. But I will tell you why I've pissed them off. There's a double edge sword of advocacy in CPSE/CSE. So often I've heard educators and politicians complain about parents - minority parents, especially - who are uneducated, ignorant, unaware and uninvolved in their child's education. If I were that parent who didn't advocate for services - I'm part of the problem. I'm bringing society down. Shame on me. But I'm educated. I'm aware. I'm involved. I advocate for services. I ask questions. I ask for make-ups when service providers cancel. I hold people accountable. I advocate for the services my child needs. But that's a problem. I'm blackballed and labeled as a difficult parent. Shame on me. I understand the Board of Education has a job to do. It's to deter parents from fighting. It's to provide the bare minimum of services. Not the best. But the appropriate. But I have a job too. And I'll keep doing it. 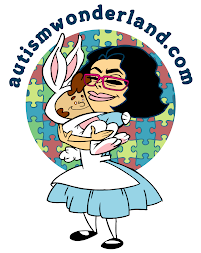 AutismWonderland - written by Lisa Quinones-Fontanez - is a personal blog chronicling a NYC family's journey with autism, while also sharing local resources for children/families with special needs. Out of sight. Out of mind?